Divorce with 12 signs of Zodiac - who have the strongest nerves? Life is such an unpredictable thing sometimes - not all marriages are stable and successful. Sometimes it becomes clear that the partners do not match and they must part, and the sooner - the better. For each sepa ration can (and should, if a person had learned his lesson well) turn to the new, this time successful, meeting. However, to leave by yourself, and to release a partner (who may not understand that this is necessary) is often not an easy task. Scandals, the mutual recriminations, lawsuits - all this not only darken life, they contribute to the emergence of a new "nodes" and prolong the old ones, so we must do everything possible for the divorce not to be marred by resentment and smoldering anger. To do this, the initiator must show not only his nobility, but also sweep it so that the partner himself came to the conclusion of a necessary parting. 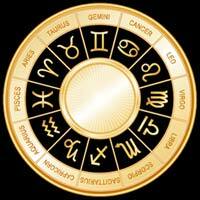 The following "rules of separation" for each sign of Zodiac may help in solving this problem. Of course, the correction is also necessary, taking into the account a given personality and situation. Aries - independent and passionate. They can not stand the situations, when they were patronized too much, and when their little weaknesses and failures become obvious to the others. Taurus likes comfort and coziness, they also love good food and can not bear parting with the material goods, that are already in them hands. Gemini is a sign, very easy to get rid of - just stop controlling them, and they immediately will rush out and find a lot of new adventures on them head. Cancers are a couch potatoes with the soft poetic character, attached to the house and adoring children. All these qualities make parting with them particularly difficult. Leo loves to be in the spotlight and to be the master of some rare and beautiful things (where he classifies his spouses as well), that are calling for general admiration. Virgo is "methodical", fanatically hard-working, irritable and suspicious person. It is not difficult to get rid of Virgo, but if this is done "sloppy", you may expect tedious trials, small, but lasting for years, and revenge gossip and complaints. Libra is peaceful, calm and refined. They do not like violent outbursts of passion, and they considered tedious clarifying the relationship. They love luxury and refined society, and do not like to excessively trouble themselves. Scorpio is jealous, vindictive and clever. This is the most dangerous sign of the whole Zodiac, so you should get rid of your Scorpio wisely. Way to the heart of this noble and extravagant sign of Zodiac lies through the sports, his stomach, and romance. If you remove even one of these three pillars, love of Sagittarius will subside quickly. Capricorn is not emotional, he is a great individualist and a careerist. But if he decided to marry, it will be more than difficult to make him to run away. Aquarius loves to change partners, so parting with him is quite easily. In addition, this sign is not vindictive and is very easy in communication. Pisces are easy to be convinced of anything. What is important - to get down to business with affection. This sign is inclined to mysticism and self-sacrificing, so you can tell him, that some "higher powers" demand separation.